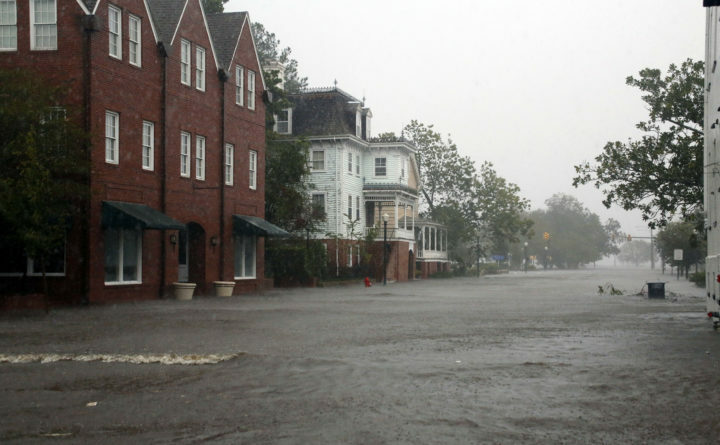 Flooding caused by Hurricane Florence covers blocks of Front Street in downtown New Bern, N.C., Friday. An Auburn woman is one of the millions of people in path of Hurricane Florence. Thirty-four-year-old Aimee Driscoll is currently at a hospital in Durham, North Carolina. Driscoll flew down three weeks ago for treatment related to a double lung transplant she underwent four years ago. When she flew down, she had no idea about the hurricane. She was supposed to come back to Maine on Monday, but with the current path of the hurricane, she says it’s a waiting game. “I tend to have a positive outlook on everything, and I know that I’ll be all right no matter what happens, and the hospital has spoken about being able to keep me here a couple extra days if need be, so I don’t have to go and travel out in the storm,” Driscoll said. Driscoll is starting to look into ways to get home.